Facebook’s 2012 has quite literally been its biggest year in its 8-year existence – we’ve seen sponsored stories, sponsored posts, sponsored sponsors, privacy gaffes, a billion dollar acquisition, a billon user milestone and an IPO, just to name a few highlights. Mark Zuckerberg’s baby has come a long way in 2012, evolving from a private company that had never looked twice at monetizing mobile, to a public company that suddenly needed to appease investors and dig itself out of a stock collapse (that has gradually eased over the months following its IPO). Zuck even found time to get married amongst all of that. We here at The Next Web have charted every feature launch, app release and stock dip, and have been able to compile it into an easy to parse, simple look back at Facebook’s 2012. Want to know what happened at the world’s biggest social network over the course of the year? Announcing that it would allow brands and businesses to push content into users’ News Feeds via Sponsored Stories just before Christmas in 2011, Facebook began 2012 by pushing that feature live, allowing those who paid to begin featuring posts from a Page in the News Feed of users that already liked that page. Over the course of the year, Facebook began trialling various permutations of sponsored content, testing where users would relate to paid inclusions when performing searches for people, places and things. While the feature didn’t gain much traction, the company did push ahead with another variation of the Sponsored Story – the Promoted Post. In May, the Facebook began the gradual rollout of promoted posts for brand pages, alerting brands and businesses that their post would show up as a sponsored story in a fan’s newsfeed, both on desktop and mobile, and as Facebook users interacted with the post, their friends would see it as well. As Facebook pushed ahead with its monetization strategies, users began to baulk at the sudden influx of promoted content in their feeds. Where Facebook has traditionally operated a sidebar full of ads and promoted posts, a brand could ensure its adverts of offers appeared as organic content in a user’s News Feed, increasing its chances of gaining additional Likes, shares and comments. While Facebook’s ad offerings concentrated mainly on businesses with the marketing budgets to promote their content, the company wasn’t content with stopping there. As the social network continued to grow in numbers, towards the magical one billion mark, Facebook recognised that users may sometimes want their posts to remain visible for longer, and so rolled out an extended version of its Highlight tool, which allowed just that. The ‘Promote an Important Post’ feature basically allowed users (that were part of Facebook’s initial testing groups) to pay via a variety of different methods to ensure that their “important news, links and photos” could be pushed higher in the News Feed. Facebook also fancied taking on the likes of Groupon and LivingSocial, launching Facebook Offers – a feature that delivers daily deals to a brand’s Page and a user’s News Feed. The new service is a twist on the traditional Daily Deals market, particularly because it allows Facebook users to remain in direct control over the offers they see. Instead of functioning as a dedicated website like Groupon, LivingSocial and AmazonOffers, Facebook has the ability to drop targeted deals into a user’s News Feed in line with status updates, photo posts, location checkins and other more social features. The feature was a revamp of Facebook Deals, which failed to gain traction, with the company’s ace card being that that Offers are delivered in a way that makes it easier for them to spread virally. Not only can users share the offers they like, when they are redeemed, they are automatically shared into a user’s timeline. 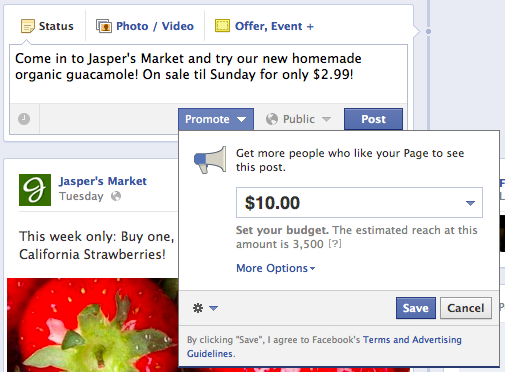 While Facebook was intent on making money, the company was forced to admit it neglected its focus on monetizing mobile. The ability of Facebook to leverage mobile platforms to improve its ad revenue has been a pivotal question in the minds of investors and followers of the company alike. Earlier in the year, Facebook COO Sheryl Sandberg echoed Zuckerberg’s position on mobile, saying that the social network’s mobile users were ‘more engaged’ than desktop users. After all, they did say that someone who uses mobile has a 70 percent likelihood of using Facebook on any given day (compared to 40 percent on desktops). With this in mind, the company set to work making sure its mobile apps got better, rolling out the same advertising features and services on mobile, and making it easier for users to pay for goods and services on their smartphone or tablet. In February, Facebook became one of a long line of technology companies using UK mobile payment specialist Bango to offer carrier billing to mobile users on its platforms. Working with Bango and carriers across the world, Facebook took its first steps to offering operator billing with its launch of its mobile payment service in the US, UK and Germany in September, later bringing it to France. Over the course of 2012, Facebook continued to iterate its mobile apps, but for a long time continued to push HTML5-enabled apps that allowed the company to sidestep many of Apple’s in-app restrictions but ended up in a terrible experience for the user. In the end, Facebook got sick of its low App Store ratings, endless number of crashes and user backlash, so it did something about it. Towards the end of August, Facebook finally took its iOS app native. Facebook for iOS version 5.0 was built from the ground up and was twice as fast as the previous version when launching, doing away with the web views that plagued the app from day one, causing it to perform worse than comparable apps. Scrolling suddenly became smoother, photos loaded instantly, users could interact with the app using a number of different gestures and notifications finally registered instantly. The user response was instant and the app climbed back up the App Store charts, improving its rating from an average of two stars to around four and a half. However, it took Facebook until December to do the same on Android. While the main apps were upgraded, Facebook wasn’t content with just the one offering. Particularly focusing on iOS, Facebook rolled out a range of specific sharing and management apps that were focused on developing its instant messaging and media sharing products. Facebook Messenger is the oldest of Facebook’s dedicated range of apps, but over the course of the year, it added additional features to position it as a standalone service that would be able to take on other popular messaging apps like Whatsapp and apps big in Asia like Line. Just this month, Facebook removed account requirements from its Android app, allowing users to sign up with just their name and their phone number. In May, when Facebook’s main app still featured its buggy HTML5 code, the company surprised many with the release of a dedicated native Camera app, finally providing users with the tools to be able to batch upload photos and manage their albums without incurring errors or limitations. The app was well received and the tech and UI was slipped into the main Facebook iOS app. Facebook Pages Manager helped brands and businesses do more with their Pages from a mobile device, but it was the release of Poke late in December that had many questioning Facebook’s motivations when it came to mobile. Rumored earlier in December, Facebook launched Poke on the App Store as another standalone messaging app, this time with a focus on expiration and a chance to out manoeuvre a smaller rival app – Snapchat. Poke allows users to send private messages that expire after 1, 3, 5 or 10 seconds, mimicking Snapchat’s own features, which have become very popular among teens and students, especially for sending more risque images and videos. The app demonstrated Facebook’s ability to copy smaller apps, add in their APIs and core friend features, and hopefully become the go-to app instead of its rivals. While Poke rose straight to the top of the App Store charts — thanks no less to massive banner-type promotions in the main Facebook app — it quickly fell from its position and currently sits a long way from the summit. Facebook also ensured that it would gain further traction on iOS when it was baked right into Apple’s new iOS 6 and Mac OS X Mountain Lion operating systems, allowing users to share updates and images directly from their desktop or home screen. Facebook’s increased its focus on its own apps, but perhaps its biggest move was the surprising $1 billion acquisition of popular photo-sharing service Instagram. In April, Facebook surprised the world with the announcement that it had acquired Instagram for an incredible $1 billion dollars. CEO Mark Zuckerberg was said to have negotiated personally with Instagram’s founders over a three-day period, beating Twitter to the punch with an increased bid. At the time both Zuckerberg and Instagram’s CEO Kevin Systrom vowed to keep the service independent. While the app has received input from Facebook’s own mobile teams (like iOS Facebook account integration), the company remains separate from its parent and has had more than 100 million people sign up to its service. As Instagram evolved its service following the Facebook acquisition, it made decisions that were no doubt aimed at reducing the focus on rival services like Twitter, and funnelling users to its own platforms. At the start of December, Instagram announced that it would turn off support for Twitter’s Cards service, meaning that any user viewing an Instagram photo on Twitter.com or Twitter’s own mobile apps, would no longer be able to see the image inline, instead having to follow the link to Instagram’s own website. Systrom explained at the time that Instagram “wanted to make sure we direct users to where the content lives originally, so they get the full Instagram experience.” Users can still share to Twitter, but now are forced to follow links to see the images their friends and family share. Shortly after the Instagram debacle, Instagram warned users of a change in its Terms of Service, giving them until the New Year to digest terms that intimated that it would begin to run ads, monetize and possibly sell photos shared to the service. However, the change was quickly noted by the tech press and worrying clauses singled out for scrutiny. One of these was a part that mention Instagram could possibly sell photos, and high-profile users decided they would quit the image-sharing social network over worries the company would profit from their images. Shortly after, Systrom took to the Instagram blog to explain that it would never sell user photos, detailing in simple terminology what the company intended to do. However, the ToS change was quickly rolled back to the original, not before being named in a class-action lawsuit over alleged breach of contract. In a move that was hotly anticipated, Facebook finally filed with the SEC to raise a $5 billion IPO in February, naming Morgan Stanley as the lead underwriter, with Goldman Sachs, Bank of America, Merrill Lynch, Barclays Capital and JP Morgan assisting. Facebook went public on May 17, with shares priced at $38 apiece (valuing the company at $104 billion), which was the largest Internet IPO in history. It also became the first IPO to see 500,000,000 shares change hands in the first day of trading, with some 82 million shares changing hands in the first 30 seconds, spiking to 100 million in just 5 minutes. On the same day, Zuckerberg and his girlfriend Priscilla Chan were married. Seeing such a huge trading volume, chaos reigned on NASDAQ’s systems. Orders went unfilled, and some were unsure if their orders had gone through at all. To appease disgruntled traders, NASDAQ was forced to propose a $40 million fund to deal with the complaints. Uninspired by its public offering, Facebook shares quickly tanked and investors began selling them off. Within weeks, Facebook’s share price reached record lows, but the company was able to rally towards the end of the year, helped by its innovations in mobile and evident ability to monetize its products. It may also have been boosted by the fact that Facebook officially reached 1 billion users. Experiencing growth all over the world — except in China, where the social network is still blocked — Facebook was able to make another major billion figure announcement, highlighting the fact that it was seeing over one billion monthly active users accessing their accounts. Becoming invaluable to young and old users alike, Facebook shared some incredible statistics it had accumulated since its launch, including the fact it seen over 1.13 trillion Likes, 140.3 billion friend connections, 219 billion photos uploaded, 17 billion location-tagged posts (including check-ins) and over 62.6 million songs (played 22 billion times). Oh, and 600 million of Facebook’s billion monthly active users were mobile. In 2012, Facebook has added hundreds of new features, been involved in its fair share of lawsuits and ramped up competition against its rivals. Here’s a little snapshot at what else Facebook got up to this year. Facebook began adding additional options to its Life Events section in user Timelines. Showing that it was able to play a part in health awareness, Facebook added a new organ donation option to Life Events, allowing users to show not only that they were a donor, but also providing links for those that weren’t to sign up too. Later, the company added the option for couples to announce they are expecting. According to Mark Zuckerberg, the addition of the organ donation option was inspired not only by his then girlfriend (now wife) who is a student paediatrician, but also the effect that a liver transplant had on Apple co-founder Steve Jobs. Facebook was also named in a number of lawsuits and regulatory reports, including a suit in which Yahoo accused the company of infringing upon its technology patents. In an effort to protect itself from future action, Facebook then spent $550 million licensing 650 AOL patents. The company also settled its Sponsored Stories lawsuit, its CTO Bret Taylor left the company, it acquired face recognition startup Face.com, allowed users to edit their comments, bought Acrylic and Threadsy, rolled out a photo sync feature to rival Dropbox and Google+, piloted free WiFi for checkins and got into physical gifting with the launch of Facebook Gifts. Currently, Facebook is working to make its privacy options clearer, but is facing opposition over its real name policy. With more than one billion users, Facebook knows that its growth will slow over time. That means it will have to monetize the users it does have to continue its impressive revenue growth. Mark Zuckerberg is clear what the company’s focus is, and that is mobile. With users moving away from the desktop to their smartphone and tablets, being able to push features that can increase user spends will be high on its agenda. 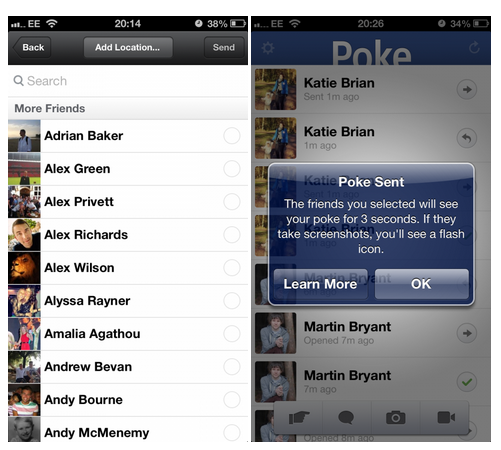 Reports suggest that Facebook is working on its own mobile device (heard that before? ), giving it complete control over its platforms and services. Whether it would sell would be another matter.